What may come as a shock for some is that Red Alert is the highest ranking Command & Conquer game on the Choicest Games Top 100 list! It even beat the original! Why? Well, while Command & Conquer was excellent in its own right I always felt that the Red Alert games were better refined versions of the Command & Conquer games that preceded them. 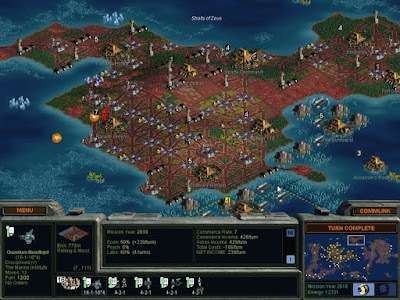 They were also always a blast to play on multiplayer and I think the first Red Alert coincided with my first experience of playing games on Westwood Chat/Online, Westwood Studios's game matchmaking service. 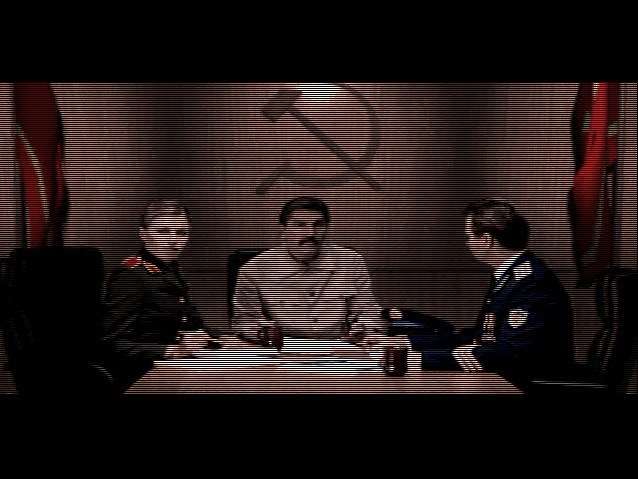 Red Alert also has the whole alternate history thing going with the Allies (including Germany) fighting against a Soviet invasion of Europe led by Josef Stalin himself. The game boasts an excellent soundtrack too with "Hell March" in particular being a fan favourite. 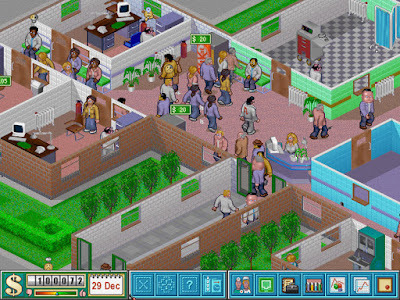 Theme Hospital is by no means innovative as it basically copied the formula set forth by 1994's Theme Park and applied it to a hospital setting. However, the game is slightly more recent and that's probably why it's scored higher (thanks to one particular judge having fond memories playing this game). 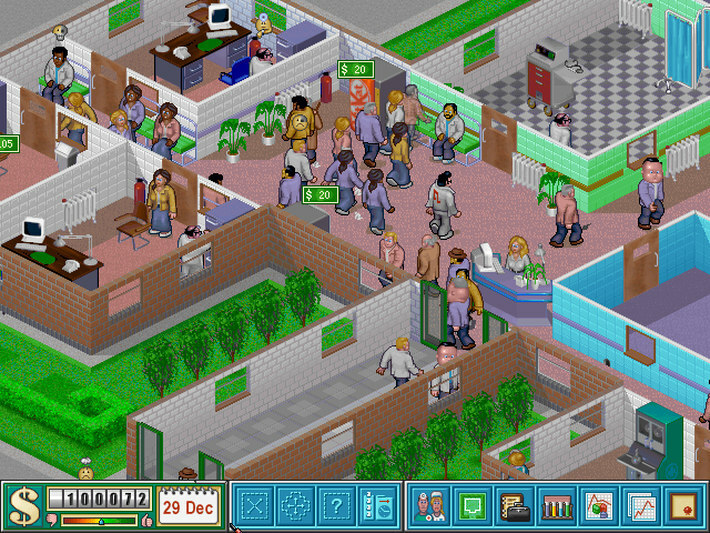 There have been a few clones based off Theme Hospital's formula but none can trump the original in terms of its trademark British humour, its easy-to-learn yet challenging gameplay and a MIDI soundtrack that's actually very memorable. 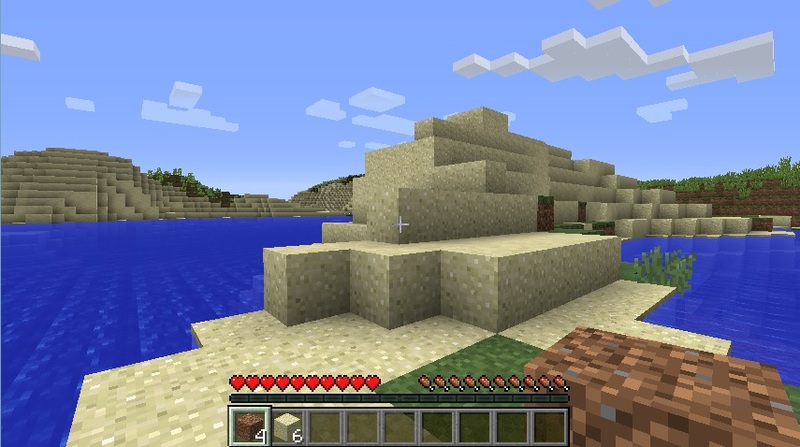 This may come as blasphemy but I never really got into Minecraft. I tried my best to have a go at it, even played with a couple of friends but I just couldn't have any fun with it. Mind you, I played the game in its very early days (when it was still a relatively unknown indie game with Markus Persson asking for donations via Paypal). I have played the game recently and it seems to be slightly better for newbies. Despite my lack of interest in the game though, I can at least appreciate its importance. 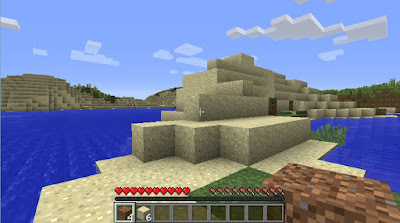 The success of sandbox indie game Minecraft helped sparked a renaissance in PC gaming and indie game development in general. Many budding developers thought if some guy in Sweden could make millions of dollars for what was essentially virtual Lego, what was stopping them mimicking that success? Obviously, it's not that easy but with it came the flood of indie games that are clogging up our backlogs today. And we've all got Minecraft to thank for that. A Top 100 PC Games list wouldn't be complete without Half-Life 2 and it was rated as one of the best games of all time by two of the judges – so why is it not in the top 10 like it is in many other lists? Mainly because out of the other two judges one thinks it's overrated and another hasn't even played it. But we're here to talk about why the game deserves to be in this list, right? 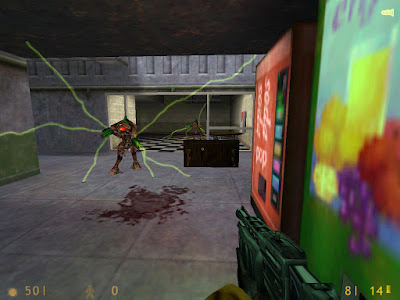 Well, besides staples of the Half-Life franchise which includes a gripping sci-fi plot and environmental puzzles interspersed with frantic firefights, the game also has spectacular graphics for 2004 thanks to the Source Engine. Another of the game's touted features is the Gravity Gun which allows you to use any scattered debris as a weapon. The game was a commercial and critical success for Valve having sold millions of copies, achieving an aggregate score of over 90% across many publications and winning 39 Game of the Year awards. The game would also spawn two episodes that followed the events from the first game. While there are plans for a third episode or indeed a sequel to Half-Life 2, none have eventuated over the past decade leading to the deciphering of seemingly unrelated clues as confirmation of its development, turning into a popular Internet meme. The second Elder Scrolls game to make the list happens to be the first of what I deem to be the "modern era" of Elder Scrolls games. From Morrowind onwards, the games were quite similar to each other in that they were all in hand-crafted 3D worlds (as opposed to the procedural generation of dungeons used in previous games) and they all had Jeremy Soule as the composer. 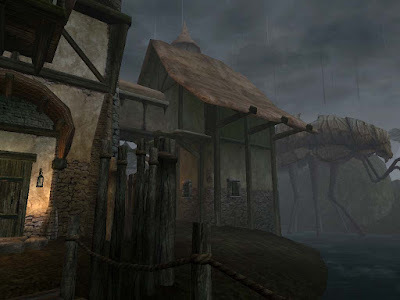 Since procedural generation wasn't used, the development of Morrowind turned out to be a huge undertaking; one estimate claims the game required 100 man-years of effort to produce and with an island as huge as the Dunmer (Dark Elf) island of Vvardenfell along with over 3000 characters you could potentially interact with, it's not hard to see why. The end result was spectacular though and exploring the province of Morrowind was truly a magical experience. The game sold more than 4 million copies and won over 60 awards, no doubt paving the way for more Elder Scrolls games. Once again a Half-Life game makes the Top 100 list and this time it's the one that started it all. Often called "a thinking man's shooter" (hey your character, Gordon Freeman, is a theoretical physicist after all…) Half-Life revolutionised the way we played First Person Shooters by creating an immersive, realistic experience where winning the game wasn't all about how good you could fire a gun but how you approached environmental hazards (sometimes going in guns blazing wasn't the key to survival). 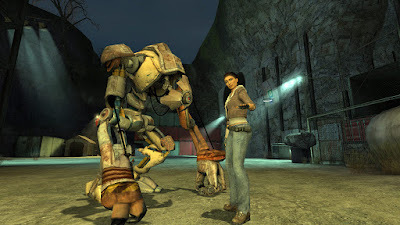 Valve managed to hire top notch talent which no doubt contributed to Half-Life's success such as science-fiction writer, Marc Laidlaw (who worked on the characters and level design) and Kelly Bailey (who composed the high quality Red Book Audio soundtrack). All of this resulted in a game that was hugely popular, selling millions of copies and winning over 50 Game of the Year awards. Half-Life would make Valve a (gamer) household name and would also spawn many successful mods including Team Fortress Classic, Counter-Strike, Day of Defeat and Natural Selection. Another controversial choice to make the Choicest Games Top 100 is Mass Effect 3. Most of the controversy arose around the sloppy, Deus Ex style ending where decisions you made earlier in series had zero impact on the outcome. I believe some of the criticism was a bit harsh, especially after the Extended Cut fixed some of the plot holes in the epilogue, as Mass Effect 3 is the final game in a trilogy and needs to be treated as an epilogue in itself. All the loose ends have to be sorted out and a customised ending (which are features of the first two games) can't really be explored if it's meant to be the end of the Commander Shepard era. The criticism also tends to ignore the other 95% of the game which is fantastic thanks to reunions with characters from previous games and several epic space battles. The only things that ended up annoying me about Mass Effect 3 was its insistence of multiplayer performance affecting the outcomes of your single player campaign (which they thankfully fixed later on) and the fact that the Citadel DLC was a DLC and not part of the base game. 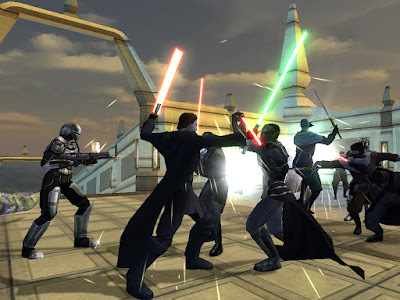 Only a year after the release of Star Wars: Knights of the Old Republic, fledgling development house, Obsidian Entertainment developed a sequel called Star Wars: Knights of the Old Republic II - The Sith Lords (KotoR 2). While this was the development house's first game, the company consisted of veteran RPG developers from Black Isle Studios and this showed in the final product. KotoR 2 had an arguably more mature and darker plot than the original KotoR making you question whether it was actually worth being on the Light Side after all. The game was filled with scenarios that highlighted the futility in helping or abstaining to help innocents showing that morality was more like shades of grey instead of a simple black and white dichotomy. 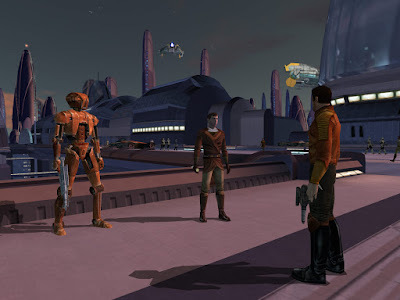 KotoR 2 is actually superior to the original game in many regards but it unfortunately fell short thanks to being given only a year to complete the game by publisher Lucasarts. Many sections were cut out of the game and the ending in particular was very sloppy. Despite its drawbacks though, the game is rated as one of the best games of all time by two judges on the panel and one of the best RPGs of the 2000s by another. Oh look! Another game by Bioware. This is the 6th Bioware game to feature on the Choicest Games Top 100 list and it won't be the last! 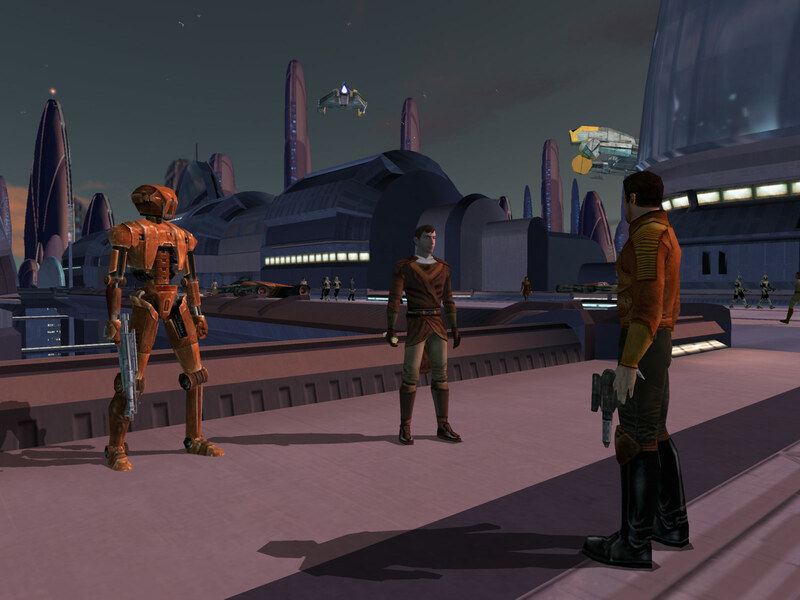 Knights of the Old Republic marked a new direction for Bioware in that it was their first game based on the Star Wars franchise, their first RPG to be set in a sci-fi universe and the first to use their Odyssey Engine (which would also be used in Jade Empire). Set 4,000 years before the events in the films, author Drew Karpyshyn (who would go on to develop the Mass Effect lore) does an impressive job in creating a galaxy that is alien yet familiar. The game also has one of the biggest plot twists in gaming history but you'll just have to enjoy the game to find out ;). The soundtrack was truly impressive too with Jeremy Soule being an excellent choice as composer considering he is the John Williams of Computer Games (at least IMHO). It's no wonder then that this winning combination of a famous franchise, great plot, memorable characters and exquisite music resulted in the game being critically acclaimed and winning several awards. When I think of Civilization in space, there are generally two games I think of: one of them we've already covered on this list is Master of Orion but the other is of course Sid Meier's Alpha Centauri (SMAC). Released in 1999, this game came after 1996's Civilization II and before 2001's Civilization III. SMAC isn't just a simple reskin of Civilization however (which some reckon the recent Beyond Earth is); quite a bit of the game was revamped. SMAC is the first Civ-like game to have civilizations with unique bonuses whereas in previous Civilization games, all Civs were functionally the same. You also have a greater ability to mould the terrain in SMAC thanks to terraforming machines called "formers" – you're even able to lower or raise the terrain! Finally, similar to the Master of Orion games, you have the freedom to design your own units. I always liked to adopt the "glass cannon" approach, arming my soldiers with the biggest gun they could carry and giving them the appropriate unit name of "Choice Fanatic". "Do it for the cause my brothers! Do it for the Choicest One!" The game remains a fan favourite and won several awards despite the game not selling as well as the Civilization series. Its legacy is one that's very difficult to match which is probably why Beyond Earth was a disappointment to many fans on release due to them naturally drawing parallels between SMAC and Beyond Earth.